MeierVille is a 15 x 15 map with some new content. 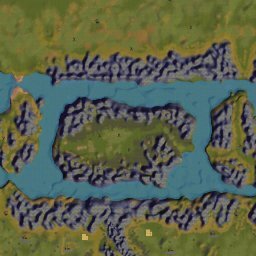 This map mixes spread out resources with things closer together to allow you to make money quickly and move around the map. You will be able to make money, you just have to do it quickly to reach all the goals. Tunnel and bridges cost more in this remote mountainous region. Track laying strategy will be key to building an industrial empire. You will start in the south and have to work your way to the rich resources in the interior island, and the cattle ranches on the large open plain in the north. Hi this game works well until you produce leather hides. When you build a train to pick them up the game crashes as soon as you try to load them. There is a pink box instead of an icon for leather hides. Are there any fix’s for this problem? I also got 404, I’m guessing because the link sends to “…_SAN.zip” while the file is at “…_SAM.zip”. Game crashes as soon as I add beer car. Updated map with a non-crashing version thanks to karsten.